While ISIS controlled the entirety of the northern-Iraqi city of Mosul, they purportedly destroyed the tomb of the prophet Jonah. Mosul is located over the ancient ruins of Nineveh where Jonah preached. 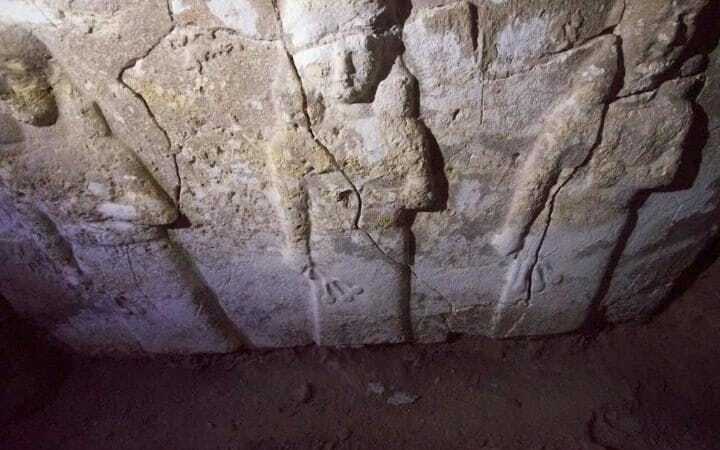 Iraqi forces recently recaptured parts of the city, including the ruins of Jonah's tomb, and underneath the damaged tomb archaeologists have just discovered a 7th-century BC palace belonging to the Assyrian King Sennacherib and his son Esarhaddon who succeeded him - both of whom are mentioned in the Bible (2 Kings 18:13-19:37, 2 Chronicles 33:11). Sennacherib is the king who came up against Jerusalem under the reign of righteous King Hezekiah, and Sennacherib's entire army of 185,000 was killed in the middle of the night by a single interceding angel. These archaeologists say that the palace is a treasure trove of information and more details may be revealed that further confirm the biblical account of history. I am going through a study on Isaiah, so this is really interesting. I hope they follow up with more pictures. Me too! This story fascinated me because the biblical account involves a major miracle: an angel killing 185,000. Shortly after, Sennacherib flees and I believe is assassinated. If this palace contains any of the info on the miracle that happened near Jerusalem, it will be a game-changer.